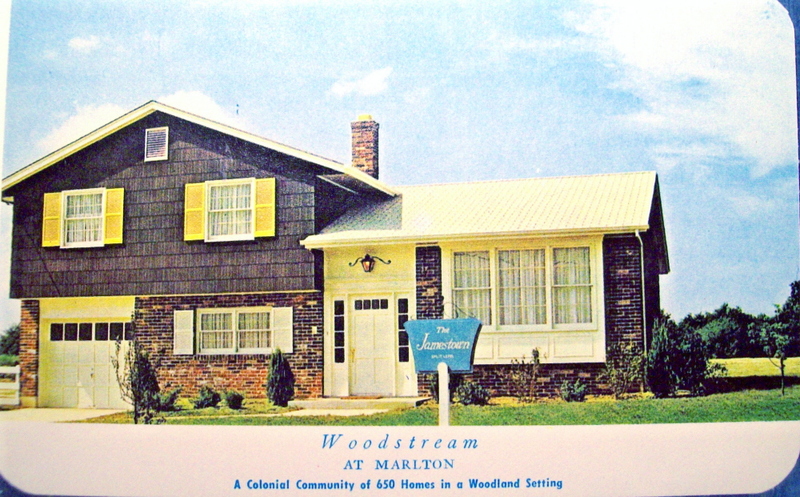 Chiusano issued a set of color postcards when Woodstream opened showing the first three models offered. 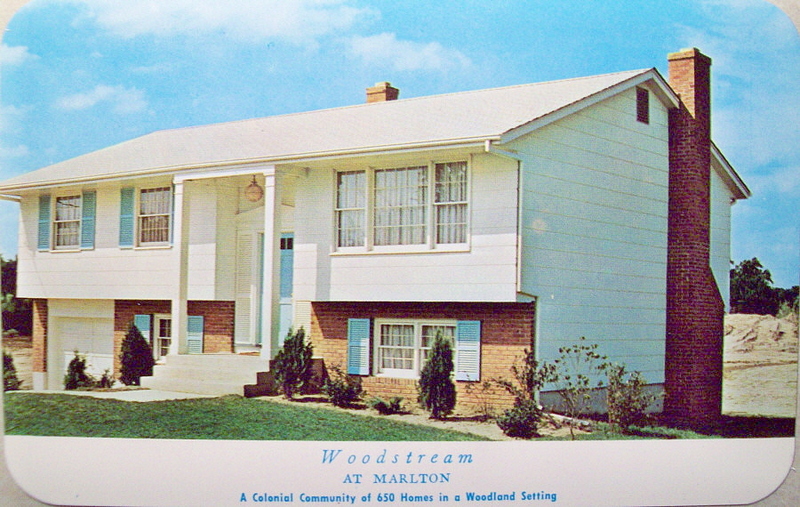 Jeff Auchter, who is interested in preserving the history of housing in America, donated these to the Woodstream Website. Thank You, Jeff! 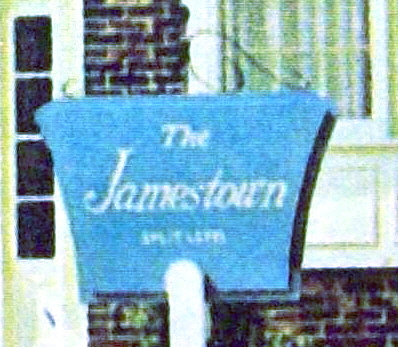 The Jamstown model. Note the barren landscape in the background of these scenes. Close-up of model home sign.